By the time Maria Sharapova took the court on Arthur Ashe on Wednesday night, much of the air had already been let out of the stadium. Many of the fans who’d gathered for the night session had watched on the South Plaza’s Jumbotron as sentimental favorite Kim Clijsters unexpectedly played the final match of her career, losing in an upset to British teen Laura Robson. There wasn’t much in Robson’s young career to indicate she might be the one to end Clijster’s career, thoughshe was coming off a career high, winning the silver medal in mixed doubles at the Olympics with Andy Murray. Coincidentally, the Scot played the men’s night match after Sharapova. Sharapova was clearly not having sentimental thoughts about Clijsters or entertaining thoughts of being the next upset victim. She annihilated the 31 year-old Spanish journeywoman, Lourdes Domingues Lino, 6-0, 6-1, in just 54 minutes. 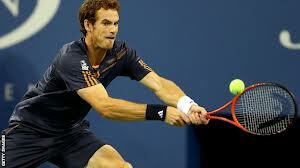 Murray was nearly as ruthlessly efficient in his second-round match, impressively dispatching the 118th-ranked Croat Ivan Dodig, 6-2, 6-1, 6-3. Murray was smacked 10 aces and won 16 of 21 points at net. The third seed demonstrated the new and improved all-court game – now as aggressive as it is wily – that led him to crush Roger Federer in the gold-medal match at Wimbledon. He showed no signs of the let-down he appeared to have after a walkover with a knee injury at Toronto and a disappointing third-round lost at Cincinatti. Murray is the first man to advance to the third Round. And the Scot, in the past known for being occasionally irascible on court, is having fun.